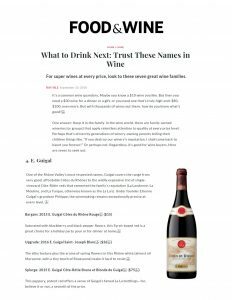 Guigal was featured in the Food & Wine story “What to Drink Next: Trust These Names in Wine.” Ray Isle highlighted Guigal as “one of the Rhone Valley’s most respected names.” He offers recommendations from Guigal at the “bargain” “upgrade” and “splurge” price points. The 2015 Cotes du Rhone Rouge, which Ray selected as the “bargain,” is noted as “saturated with blackberry and black pepper flavors” and “a great choice for a holiday party pour or for dinner at home.” Ray offers the 2016 Saint-Joseph Blanc as the “upgrade” because of its “silky texture” and “aromas of spring flowers.” Lastly, for the “splurge” Ray recommends the 2015 Cote Rotie Brune et Blonde de Guigal. 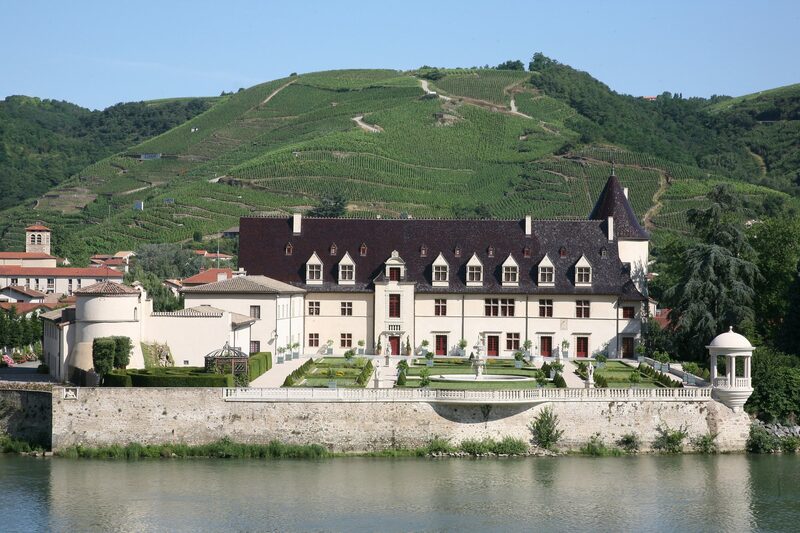 He describes this wine as a “peppery, potent red” which offers “a sense of the Guigal’s famed La La bottlings – for believe it or not a seventh of the price.” You can read the full story here.